The warm weather in the summer months in northern Ohio allows for workers in a variety of occupations to get work done that is not easily accomplished in the cold months of the winter season. Sandusky photographer W.A. Bishop took the photograph above on July 25, 1908. Employees of the Erie County Courthouse can be seen looking out at Case equipment used to improve roads in Erie County. 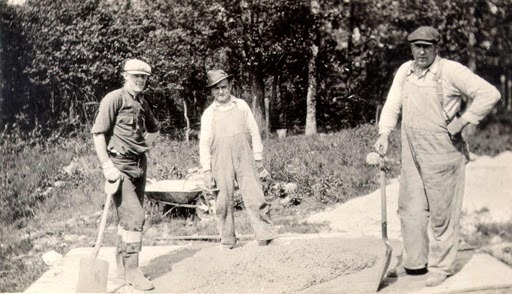 About 1920, Joe Staffler, Henry Scheid, and Fred Staffler were working on an outside project with a wheelbarrow and shovels. 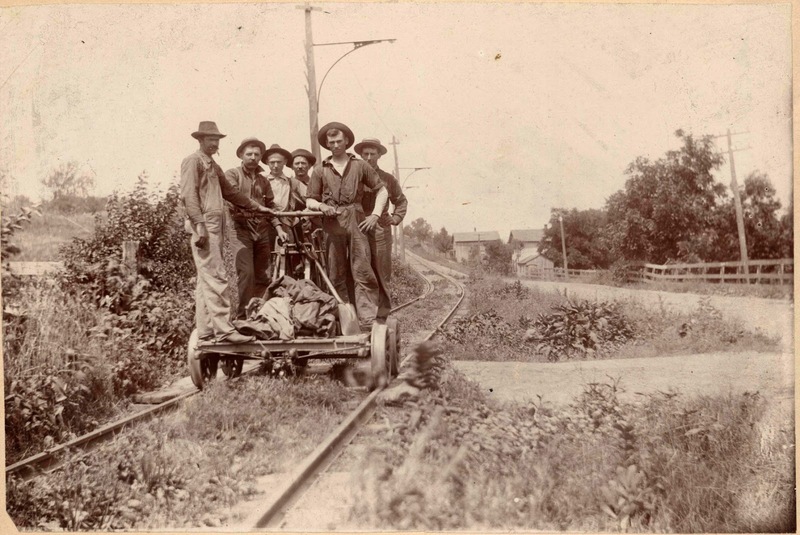 In the picture below, taken in the early part of the twentieth century, a group of six men are working on a handcart along the Lake Shore Electric Railway in Milan, Ohio. 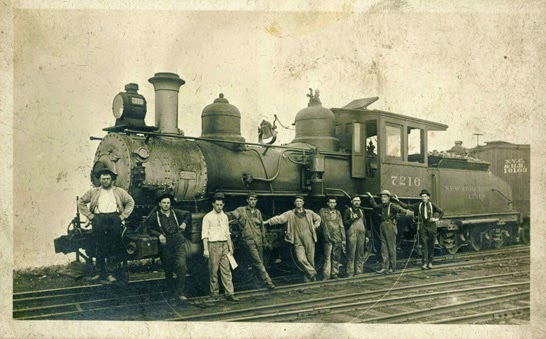 In this undated postcard, several men can be seen alongside an engine of the New York Central Railroad. 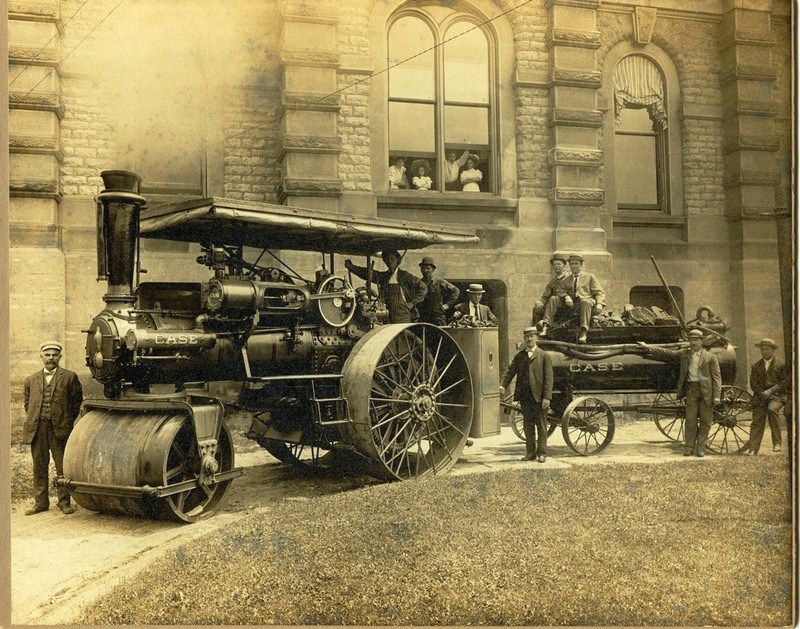 Visit the Sandusky Library Archives Research Center to view these and thousands of other historic photographs from Sandusky and Erie County, Ohio.